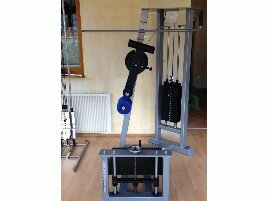 The multi hip machine strains the hip and glute muscles and is available in different colors and upholstery. The machines are normally length adjustable and have a padded leg roll. This gym equipment is especially popular among women, because it serves well for intensive glute training. 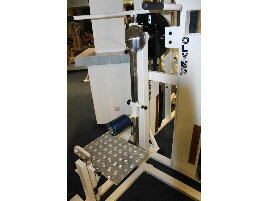 The athlete stands on the platform of the new or used multi hip machine pressing his thighs against the padding. Before starting the workout he or she chooses the suitable weight, which should not be too heavy in the beginning, but can be increased after a time. 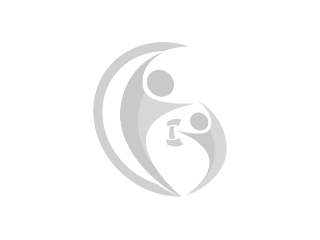 A trainer can give advice about the weight and the correct posture. Like for other trainings, a good warming up is necessary before using fitness equipment to avoid injuries. If you don’t have enough time to go to a gym, it is a good alternative to buy new or used gym equipment for your home. Used multi hip machines are nearly as efficient as new equipment, even if they have already been repaired with spare parts. No matter if you train on a new or used multi hip machine, the exercises should be done slowly, controlled and regularly to gain a positive result. 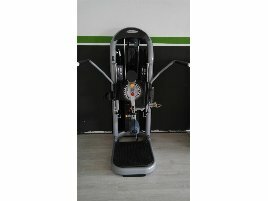 On fitnessmarkt.com you can find a wide range of new and used gym equipment. Are you closing down a gym and want to sell your used equipment? 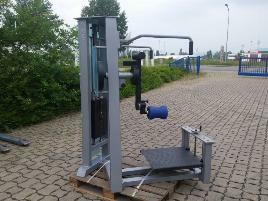 On fitnessmarkt.com you have the opportunity to insert fitness equipment like new or used multi hip machines. If you want to sell gym equipment, just insert your articles on fitnessmarkt.com to offer it to a large number of prospective buyers. A detailed description as well as some pictures of the new or used equipment are recommendable so the prospective buyer has the most important information on the new or used multi hip machine just at a glance. If you need some training tips for using kick machines, see training tips for multi hip machines in the fitnessmarkt.com magazine!